For the past 25 years, I have been advocating for people to visit the people living in nursing homes. So often nursing home residents do not get visitors which may lead to feelings of loneliness and uselessness. Over the last seven years I have been advocating for nursing homes to not only expand their volunteer programs but to expand the role of the volunteer in their nursing homes. With the workforce shortage only growing more acute for the foreseeable future, I believe we need to develop and utilize every resource available to ensure that the people living in nursing homes are getting quality care and have quality of life. 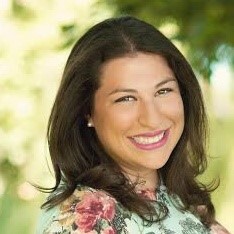 Last year, I made it my mission to search out exemplar or premier volunteer programs and to highlight them at VolunCheerLeader.com. To-date I have identified several great programs, but now it is my extreme pleasure to report on and highlight, in my opinion, what I think might be the premier nursing home volunteer program boasting some 900 adult volunteers and 300 youth volunteers. However, it is going to be a bit of a chore for me to keep this article to a reasonable length. Advocates for volunteers will enjoy this reading on a remarkable volunteer program. During March of 2016, I attended the American Society on Aging conference. I met several like-minded people also advocating for expanding the role of nursing home volunteers. During our conversations, I was encouraged by them to contact the director of volunteer services at Baycrest, in Toronto, Canada. I contacted Syrelle Berstein. 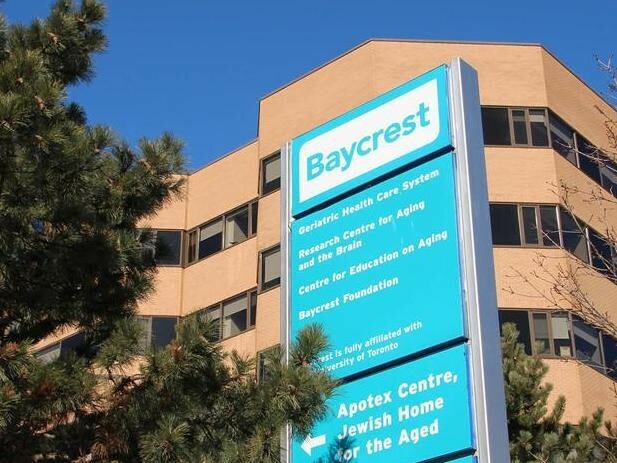 My initial conversations with Syrelle revealed that Baycrest has been training and recruiting volunteers to provide friendly visits, staff support, administrative support, and encouraging the volunteers to create and facilitate their own activities. I was anxious to go there and see the program first-hand. Over the next several months, Syrelle retired and Janis Sternhill, M.Ed., stepped into the directorship. I stayed in touch with Syrelle and asked if she would facilitate my visit. She graciously agreed. During the week of June 11, 2017, Syrelle immersed me in the Baycrest culture of care and the Baycrest volunteer program. Having developed the program, she could highlight the salient aspects of the program. On my first full day in Toronto, Syrelle picked me up at 10 a.m. at the apartment where I was staying, (I use Airbnb these days). We drove to the Baycrest campus which was just a few minutes away. As we entered the campus, I was immediately struck by the enormity of the operation. We drove by building after building, passed by a huge parking lot, and cruised alongside the Baycrest childcare center and then we reached the assisted living high-rise. We parked and began to walk towards the Apotex and Jewish Home for the Aged. I thought to myself, as Syrelle explained what was happening in each building, that this campus is not only comprised of all levels of care but it includes a research center and ties to the University of Toronto. In my mind, this is the perfect setup. 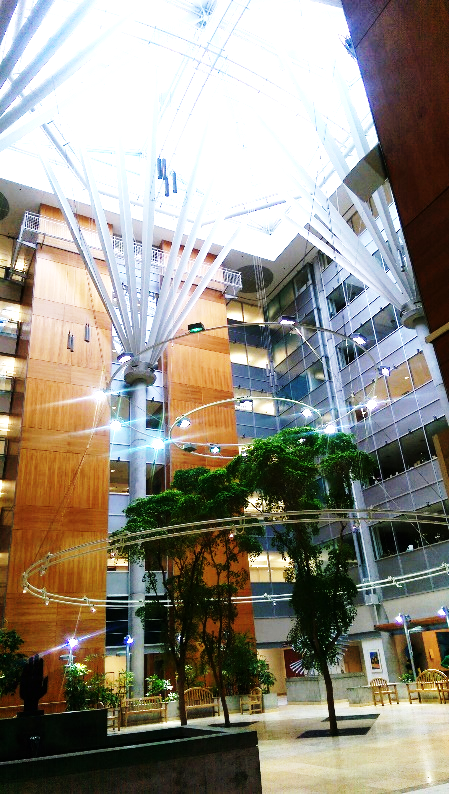 As we approached the glass doors, of the Apotex they automatically parted to the left and right, welcoming us into the foyer of the building. Syrelle logged in as she is now a volunteer herself. The tracking system keeps record of who is in the building and what they are doing. For the volunteer coordinator, this is great as she can report on volunteer activity in near real time and collect data on the volunteer program. Once Syrelle logged in, we turned to go through another set of glass doors. As they opened, what I saw literally took my breath away. Before me the ceiling burst upward into a large open area, an atrium that extended eight stories upward culminating into a magnificently sky lit ceiling. (see Figure 2) I was stunned! It was exhilarating! I looked at Syrelle in amazement and asked, “Is this the nursing home?” “Yes,” she said with a big smile. It took a few minutes for me to take it all in and to collect myself. She then gently turned me to the left to see the area where residents, with the help of an army of volunteers, were creating various ceramic pieces and paintings (see Figure 3). This is where I met the first in a series of many Baycrest volunteers, each of them wearing the bright yellow “Baycrest – Volunteer” lanyard and identification badge. The finished items were on display in large picture windows, facing the interior of the atrium. They were quite colorful and added to the ambiance of this beautiful area. Once I had regained the ability to breathe again, we moved on with our tour of the facility. It was unlike anything I had ever seen or even imagined in regards to a long-term care community. As we walked and were greeted repeatedly by volunteers and staff, it soon became very apparent to me that Baycrest not only embraces the concept of person-centered care but has successfully created a wonderful authentic, relational culture that is felt from staff to resident, from staff to volunteer, from volunteer to volunteer, and from staff to staff. It was truly amazing. (Amazing was a word I found myself repeating numerous times throughout my stay). Syrelle arranged for me to attend several of the activities that volunteers were facilitating or for which they were providing support. Our first stop was to a morning session led by a speech pathologist who was assisted by several Baycrest volunteers. In this case, the volunteers could encourage the residents to take part in the exercises while providing some level of comfort and trust for the resident. In some cases, residents feel more comfortable responding to volunteer requests more readily than staff. Moving on, we attended a comedy hour conceived and facilitated by Baycrest volunteer, Murray. In his early years Murray was a stand-up comic traveling throughout the United States bumping shoulders with the likes of Alan King and Billy Crystal. Today, he was showing clips of his favorite comedians and sharing a few of his own jokes as well. The audience loved it. I’m certain that they received a healthy endorphin boost setting the tone for their upcoming lunch. Murray facilitates this activity weekly. From there we toured the assisted living area and then had lunch with Larry, the Baycrest volunteer I met in the speech pathology session. From the volunteers that I had the opportunity to meet, Larry represents what I believe Baycrest is looking for in their volunteers, i.e., a high level of commitment, a warm and outgoing personality, possessing the skills to create and/or facilitate activities, having an authentic desire to make a difference in someone’s life, understanding the significance of what they are doing for the staff and residents and finally possessing a great sense of humor. There was a lot of smiling and laughing during my time at Baycrest. I asked Larry how he came to volunteer at Baycrest. He told me that after retiring he wanted to stay engaged and was seeking out volunteer opportunities. After several unsuccessful tries at various agencies, Syrelle invited him to try Baycrest. That was two plus years ago. He admitted that initially his motivation was not altruistic but rather he just wanted something to do, something where he could make a difference. In meeting with the new director of volunteer services, Janis Sternhill, I was reminded again, how critical a great director of volunteers is to creating, growing, and maintaining a sustainable volunteer program. Janis’ experience and expert knowledge of volunteer management, research and her obvious passion for both the volunteers and the residents were unmistakable. She continues by saying that the staff are relieved knowing that the resident is relaxed when they go into their room. The resident has a good experience of feeling validated, acknowledged, and like a human being. I asked Janis if they are measuring the impact of the volunteer visit and she said that the Baycrest researchers have finished two studies. The first two studies focused on the overall engagement of the resident, i.e., how often did they smile, how often did they speak, what were they doing before the volunteer came in, what did they do after the volunteer came in, and what activities were they doing. The researchers also interviewed staff in the same manner, i.e., what was the staff doing before the volunteer arrived, what were they doing during and after the volunteer visit. Feedback from the staff was included as well, i.e., how was your experience with the volunteer, and what did you notice on the unit when the volunteers were present, what happens when the volunteers are not on the unit? And in like manner, the volunteers were asked, “How do you feel when you come onto the unit?” “Do you feel a difference when you are with a resident?” A third study is in progress to collect data at the individual level. Janis talked about all the tasks that volunteers are doing and/or assisting with behind the scenes. As I mentioned above, this supports current research that reveals residents are likely to be more open with volunteers rather than professional staff. The Baycrest Learning Institute Speaker Series (BLISS) is a new addition to the volunteer program. Professionals from Ryerson University came in and trained people to be facilitators who in turn trained volunteers to facilitate groups and give presentations. The goal however, is not the presentation, but the engagement of the residents in the presentation. Janis offered two examples. The first is a pianist who plays a musical piece and then elicits discussion about how the music makes them feel and other engaging questions. In similar manner, a volunteer from Morocco tells her personal story of life growing up in Morocco. When I asked Janis about liability issues, her response was not surprising. “All of our volunteers are highly trained, and starting in January  they have to complete learning modules the same as staff do.” We went on to discuss having liability insurance and there was no “new” news on this topic. You evaluate the tasks volunteers will be doing, identity possible vulnerabilities and then create policies and training to reduce the chance of a mishap. We discussed the budget and how she justifies the volunteer budget. I believe that it is an ongoing task. I suggested that one must connect volunteer activity to the bottom-line, showing that operations budgets are positively impacted when residents, staff, and families are happy. From there, I brought up the subject of labor unions. Janis said that overall the relationship with the unions has been very good, she said, “They get it.” There were instances where the union leaders wanted some adjustments made to job descriptions or clarification as to what the volunteer job was and that the volunteer was not replacing a paid employee who had just left the organization. The unions want to understand what the volunteers are doing. In meeting with the volunteer coordinator, Tehila Tewel, I had the opportunity to discuss their recruiting, onboarding and training process. It was reassuring to me, as the founder of Community 360°, that Baycrest also has a stringent vetting process and training protocol. For those of you that follow my articles, you know that I am not only a strong proponent of filtering for highly committed individuals but also adequately preparing the volunteers for the roles that they will be assuming. 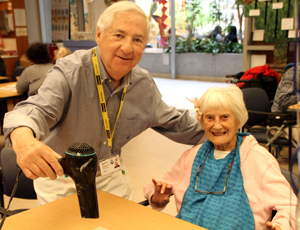 As a result, as it should be clear by now, Baycrest volunteers are embraced by care staff as a valuable and necessary asset in providing not only quality care but quality of life. Tehila indicated that they host orientation/information session twice a month attended by some 50 prospective volunteers at each one. At those orientations, attendees receive information about Baycrest, working with our clients, programs offered to clients, wheelchair training, volunteer roles and responsibilities. They are also encouraged to apply. For those that do apply, they then complete six modules of online training and other screenings and tests as required by the Ontario Long-Term Care Act. 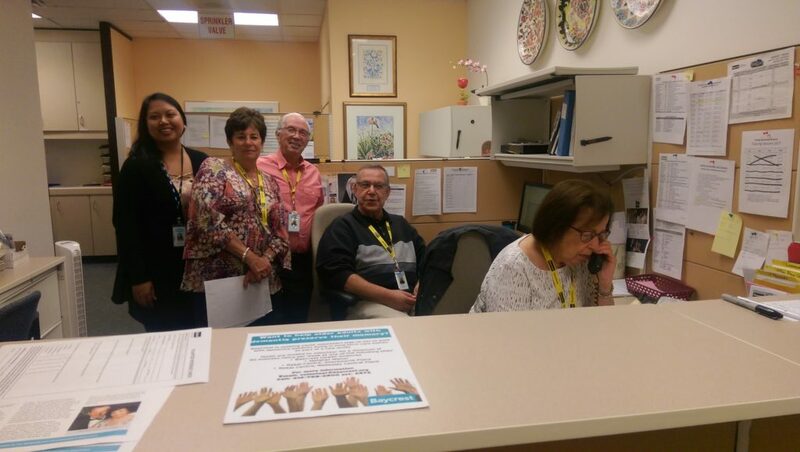 Screening continues when they come in for their interview with a highly trained volunteer interviewer who will place them in the program that matches their skills and Baycrest’s needs. There are many specialized volunteer programs that have been created which require more hands-on training and education. Some of these are offered on-line and others are in classrooms settings. Most of the on-line courses and specialized training provide certificates upon completion. Volunteers are thrilled have the opportunity to learn from our professionals. As with Community 360°, the attrition rate is high upfront but low on the back-end. One thing I have learned in this process is that no matter how desperate one may be for volunteers, simply putting warm bodies in place will not result in an effective or sustainable volunteer program. Filtering for and training highly committed volunteers is a more difficult path but one that will produce the kind of volunteer program that is in place at Baycrest. Without exception, volunteers, wearing the yellow “Baycrest – Volunteer” lanyard could be seen everywhere and not just a few. It was so remarkable and refreshing to see, not only the incredible number of volunteers, but that they were truly making a positive impact on the quality of care and quality of life for the people living at Baycrest as well as the staff of Baycrest. If you are a director of volunteers or are in the process of establishing a volunteer program in your long-term community, please take a good look at the Baycrest volunteer program. Note: I could have written so much more about the program. For the sake of space and time, I will reserve my full account of this program for my upcoming book: “The Volun-Cheer-Factor.” Stay tuned! Thanks for all the likes. Baycrest clearly demonstrates that great volunteer programs produce great volunteers who do great things! I had the pleasure of meeting Paul & I’m not surprised at his interest & response to our program at the DAY CENTRE. You can tell right away how dedicated he is . He’s a real “MENCH”. GOOD LUCK, Paul. Til we meet again. Murray. Next Next post: We’re looking for “co-conspirators!